Guarantee Policy: Valid Credit Card is required, one-night room and tax charged at time of booking for guarantee. Refundable if cancel/modify outside of 24 hours prior to arrival. Cancellation Policy: Cancel 24 hours prior to arrival to avoid a 1 night(s) cancel penalty charge. 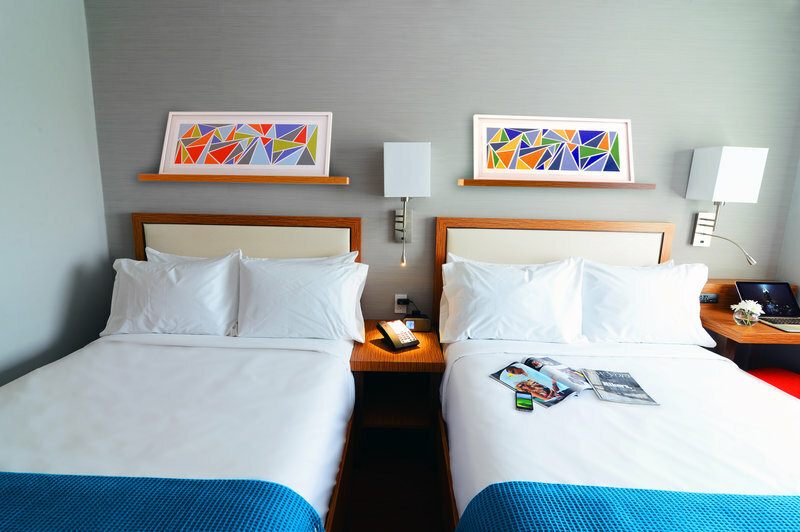 The Edge Standard Double features two double sized beds ideal for friends or family sharing a room to explore all of the delights Washington Heights has to offer. The fresh and modern décor was designed with functionality and comfort in mind. 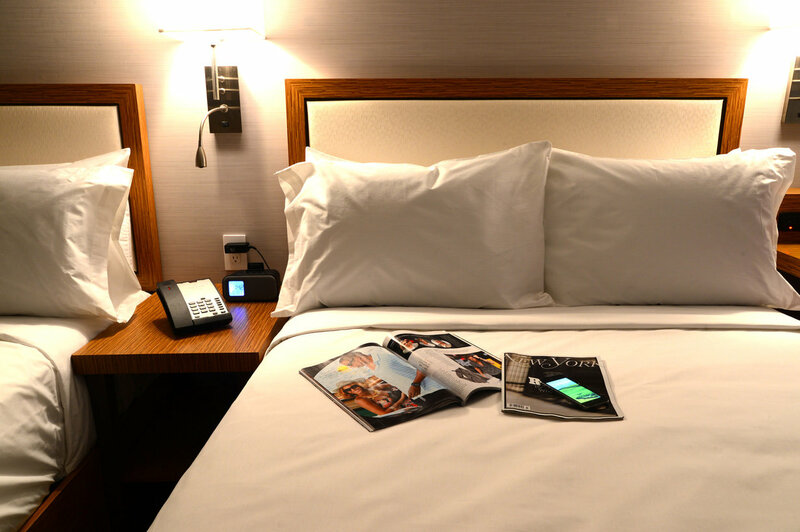 Relax on our plush pillow top mattresses covered with fine linens and refresh with LATHER bath amenities. Each room is equipped with a comfortable work desk and chair, 42” flat-screen LCD HDTV and complimentary high speed wireless internet access.